Manila, Philippines - After a joint effort from Raffy Tulfo in Action, Isabela Police and the NBI, finally Vina Rose Mamuri Santiago is preparing for her deportation to face charges over the death of Kristine Diego, the Insurance Manager in Roxas, Isabela. Vina Rose Mamuri Santiago is a nurse in Riyadh Saudi Arabia allegedly left the country after the horrifying incident. The suspect is now in the custody of the Philippine Consulate in Riyadh and now waiting for her flight schedule going back to the Philippine next week. 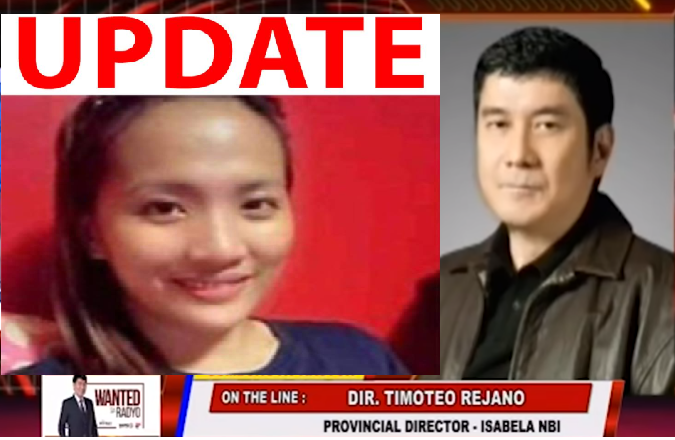 The brother of Kristine Diego seeks the help of Raffy Tulfo in Action.